I am so freaking busy with school. I have time to finish stuff, but I don’t have time to write about it! Ugh. I just came across the manga while browsing for good reads. I have basically not into it so much yet because I was very busy the past few weeks. For some reason, work just kept bothering me. With the days of the second semester growing shorter, the work needed to be done increased proportionately. Anyway, the story centers around a girl named Armelia. When she was little, she sang for the governors and nobles for money. Everybody loved her voice and so they abused it. However, one night one noble stopped her from further singing because he saw that she was tired. This man’s name is Luce. That very same night Luce was kidnapped by pirates. Amelia then swore she would find Luce someday. She then boarded a ship as a guy and found Scar, the Captain. It was then revealed that she was a woman and Scar used to be Luce. It’s an interesting story. Too bad it only had one volume. If it would have continued, I would have really read it right down to the very last chapter. The manga is written by Hino Matsuri, the same creator for Vampire Knight, which is why Luce looks a lot like Kaname and Armelia looks a lot like Yuuki Cross. THE VERDICT: Not recommended. Story’s good, but the ending was BLEH. Gyaaa! I love this Jdrama! Nobuta wo Produce is has the best cast in the world! Who would’ve imagined that the Maki+Yamapi+Kazuya+Eri-chan team would be this good? I honestly love it to bits! I haven’t finished them episodes, but I think I will the next episode. The story is about two guys (played by Kazuya-kun and Yamapi-kun) who tried to “produce” Nobuta. They make plans on how to make her popular. THE VERDICT: Yes! You are missing out if you do not watch this anime! Nobuta power! I finally started Nurarihyon no Mago Sennen Makyou. It is the second installment in the Nura Series. The anime is 25 episodes long and I am about halfway through. 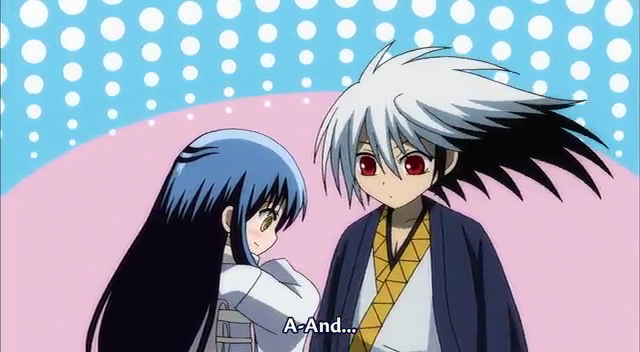 I love this season because it has more of the yokai Rikuo in it. The second season settles the score about the death of Rikuo’s dad. The one bad thing about it is that it focuses on one storyline instead of several stories in the entire season. THE VERDICT: Not done yet, so watch out for it in Episode 11. This is the 6th ending song of Fairy Tail. I love this song! It’s really, really, really nice. The singing is so smooth, and it deviates from the usual happy ending of Fairy Tail. I think so far this is the only ballad-ish song out of the entire Fairy Tail song collection. Yay! THE VERDICT: Recommended. I recommend w-inds. as well. They’re a really nice group. And they have a collaboration with G-dragon. How cool is that? Previously, I wrote about how Japan celebrates Valentine’s Day. I wrote about how they do it two times a year – one during February 14th, and one a month after, which is March 14th. You can see that post here. Today is what you call White Day. White Day is celebrated every March 14, which is basically like a Part 2 of Valentine’s Day. During the 14th, girls would make chocolate for guys they like and guys they are acquainted with. For guys they work or are acquainted with, the chocolate is called giri-choko or Obligation Chocolate. For guys they like, it is called honmei-choko or Homemade Chocolate because homemade chocolates are thought of as an expression of liking someone. During White Day, things go reverse. Guys give giri-choko to women they work or are acquainted with, while they give honmei choko to girls they like. During the earlier periods of White day, only chocolate could be given. These days, however, men can also give jewelry, cookies, marshmallows, and even lingerie to women. Korea, China and Taiwan also celebrate White Day. Korea also celebrates a Black Day, but I’ll explain that when the day comes. Hint: It’s suited especially for me. That’s it for this post. Sad to say, Episode 10 of Otaku Girl is delayed again *sigh*. Please wait for it. I’m sorry if Episode 9 is delayed. I had a very hard time looking for the song/video. I basically had the same stuff for week 9. It’s because the materials I got for Episode 8 were not exactly short. The manga has over 20 volumes, the Jdrama is 1100 hours long, and the anime is ongoing and I had to catch up to about 70 episodes to get to the current episodes. The only thing that I had differently this week was the music. I’ll be writing very shortly about the first three. I have to say I am super absorbed by the manga. The story is now very interesting. I still haven’t finished it yet. It’s a really long manga. Each volume has about five chapters, and each chapter has about 20-30 pages or so. I can’t wait to finish it though, because I think it’s absolutely exciting. I kind of can relate to Yuki-kun, although I like Kyo-kun for Tohru-chan a lot better. Yuki is a broken person who pretends to be happy all the time. Personality-wise, I am very similar to him. I can feel his insecurities and his selfishness (he does call it selfishness, so I guess I don’t have to be polite or anything >_______<).. THE VERDICT: As I said last week, highly recommended. UPDATE: I cried today, because I finished this! Finally! Buckets of tears~ah. It’s really great. It’s a good series to watch. The series was quite open-ended, but it remained humorous until the end. 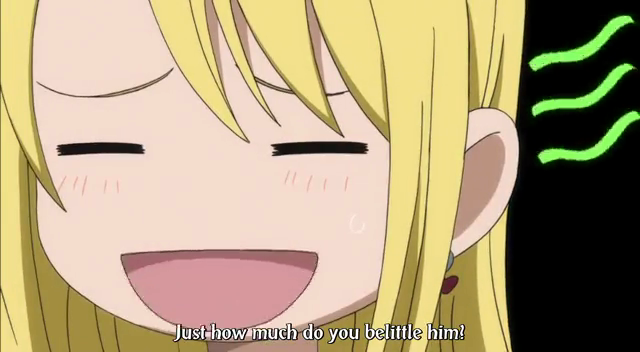 Nakama Yukie is really so darn funny. THE VERDICT: Yes! Yes! Get this one! I don’t usually like an anime, manga or series that is ongoing, because I feel like it’s a bothersome thing, but I don’t mind waiting for all the episodes to come out. I just finished Episode 121. This is all there is for now. THE VERDICT: I wouldn’t get this if it wasn’t good. I’m thinking about getting the manga as well, but my friend said it’s almost the same. I had such a hard time looking for the song that I really liked from the Yamato Nadeshiko Shichi Henge anime OST. The one in the video above is Changing by Kiyoharu. It’s my second favorite, but my top 1 is Karattou Ikou~Adios Amigos by Bon Bon Blanco. I really like the group Bon Bon Blanco because I feel that their songs are all very upbeat, but still has a romantic feel into it. Anyways, since I cannot find a YT video of it, I’ll just provide you with a download link. Don’t worry, download here is fast and there’s no need to sign up for an account or whatnot. OMG. I am so sorry you guys. I have been so busy with school work and stuff that I was not able to write about the stuff I had last week and Episode 9 will be delayed as well. 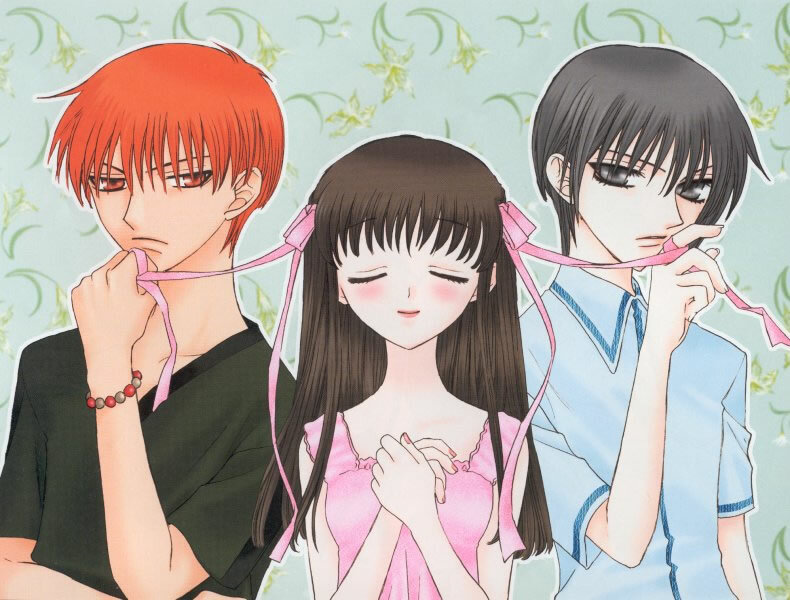 I love Fruits Basket! I loved the original anime when it was shown in the Philippines a few years back. I never got the chance to finish it though because the channel decided to stop airing it about halfway through. I love the manga, and I have been reading this for weeks now. There’s not a lot – about 26 volumes in all, but knowing the TV hoarder that I am, I have no choice but to set aside the littlest amount of time for manga. I can pretty much finish an 11-episode Jdrama in two day’s time (which in actuality is around 5-8 hours only, coz I skip the opening songs and whatnot), so I don’t have as much for mangas lately. That’s about to change next week, since I am almost done with all 120 episodes of Fairy Tail available. And yes, I did not just download them, I watched them all. Anyway, this manga is Shoujo. It’s absolutely interesting! The story is about Tohru, a girl whose mom died so she was looking for a place to stay. At first she camps out the woods. Because of an earthquake/landslide incidence, the Souma family who owns the forest land, decided to adopt her. But there’s a problem. Men in the Souma family (well, most of them at least) are under the zodiac curse. When women hug them, they turn into their zodiac animal counterparts. Even if I haven’t finished the entirety of the manga, I know this is just going to be great. Nakama Yukie is one of my favorite actresses. If you are a fan of mainstream Jdramasa, you would recognize her as the lead in the Gokusen series. I’ve seen her Ring-O: Birthday as well where she played Sadako, and she’s a very well-rounded actress I think. In this story, she plays Kimiko Makimura, later Kimiko Yamamoto, a girl who married Isojirou Yamamoto. She was brought to the house of Yamamoto where she is surprised about a lot of Japanese traditions she had to encounter. Above all that, her mother in law is very misunderstanding. She does not understand that Kimiko hates their traditions and way of life, and thinks of it as a way of Kimiko trying her best to learn their ways. Kimiko also does not notice, but even if she hated the traditions, she enjoyed being in the company of family. THE VERDICT: I’ll tell you in Episode 9. This is a beautiful Jdrama though. If you want to learn more about traditional marriage arrangements as well as other common traditions in Japan, you would learn a lot from this drama. What can I say? 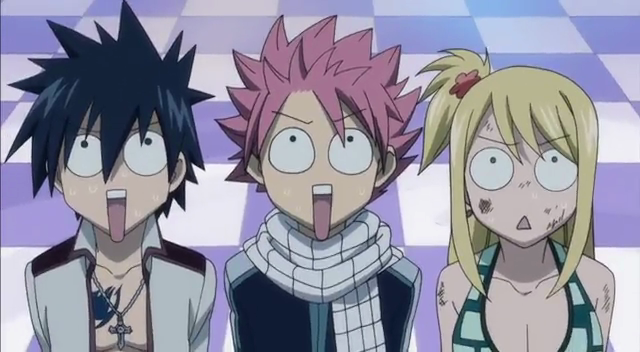 Fairy Tail is my favorite drama this week, last week, and probably for another month. I even took screenshots while watching. I’m thinking of compiling them into an album. What do you guys think? THE VERDICT: Recommended to the Infinite-st level! Although it’s not the anime version, I really love this song from the live action version of Prince of Tennis. There’s about 7 Dream Live Concerts, and this is the only one I watched. Anyway, this has the best actors in all Dream Live Concerts because the characters were really portrayed well. I don’t think anyone is allowed to play Atobe other than Kazuki-kun. THE VERDICT: Love it. Absolutely. The other songs from Hyotei are absolutely amazing as well! That’s it for Episode 8. Please watch out for Episode 9 tomorrow and Episode 10 sometime next week. I will do my best to catch up to all writing. Please watch out because I will try to be really active this week. Hey! Thanks for reading this blog. If you want more of I Eat Spicy Noodles, subscribe! You do not need to have a WordPress account to do so. All you need is an email. Big Anime, Manga and Jdrama Collection Download speed so-so, but a great variety of selection. Plus, every anime, manga, series has a moderator, so if the links don’t work properly, you can inform them and it will be resolved immediately. Cool Anime Music A wide selection of anime music. Updated daily. Fast Anime & Manga Downloads If you like mangas, anime series, soundtracks and movies, this is the perfect place for you. Downloads are incredibly fast. I downloaded one anime ep for 2 minutes. Watch Korean, Chinese and Japanese Movies and Series Video stream speed is so-so, but there is a wide selection here.